Our Luton airport Park and Ride packages combine convenience with great value. You just drop your car off at the car park, then hop on the transfer bus and head straight to the terminal. When you return from your holiday, the transfer bus will take you back to the car park to collect your car. Did you know that if you turn up at Luton airport without having booked your parking, you're bound to pay more than if you'd booked with HolidayExtras.com? You'll always save money if you book your Luton airport parking in advance through us. Our prices start from just £39.99 for eight days' parking, and all our Luton airport parking packages are backed by our Never Beaten on Price guarantee - we'll match the price should you find the same deal cheaper elsewhere. 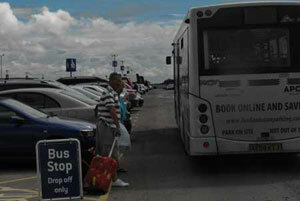 We've three Park and Ride car parks at Luton airport: Airparks Luton, Luton Long Stay and Luton Mid Stay. Transfers run 24 hours a day and are included in the price at all three. Airparks Luton is almost always our best value Luton airport car park. Not only is it superb value but it's just 12 minutes from the terminal on the transfer bus, which runs every 20 minutes. Airparks Luton also offers a Return Greet service, where you can have your car brought to meet you at the terminal upon your return. Luton Long Stay is usually our next best value car park. It's within the airport grounds, and the journey to the terminal takes 10 minutes. Transfers run every 10 to 15 minutes. Luton Mid Stay is the closest Park and Ride car park to the terminal so its ideal for a really quick transfer - it's just five minutes away on the bus, which runs every 10 minutes. We prioritise the safety of your car. 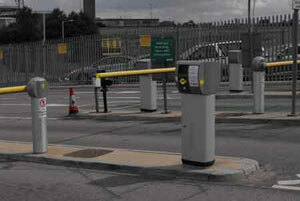 As such all our Luton airport Park and Ride car parks are fully secured, regularly patrolled and protected by entry and exit barriers, fencing and lighting. All three hold the Park Mark®, a national security award accredited by the Association of Chief Police Officers, so you know your pride and joy is in good hands. Once you've chosen your Luton airport Park and Ride package, you'll be able to choose one of our marvellous upgrades to improve your booking even further. Whether you want to skip to the front of the airport security queue, get traffic updates by text on the day you travel or let us sort out your holiday currency and insurance weve got an upgrade for you. If you're parking at Airparks, you can even have your car cleaned to a brilliant shine while you're away - prices start from just £10.